The history of East St Louis spans a length of many years and tells tales of both great sorrow, such as the 1917 race riots, and great joy. There have been many official and unofficial titles of the city over the years, as Eugene Redmond noted in a poem: "Rivertown…Illinoistown…Piggott's Town…Snootville…The Valley(s)…Hudlin's Villa…Rush City…Goose Hill…East Boogie…Pollack Town…Miles Davis Mecca" (Redmond). The last affectionate nickname holds special interest to this paper. Although East St Louis unfortunately receives more press lately due to the crime rate and the negative reputation it developed over the years, it is a thriving center for the arts. Many singers, musicians, dancers, and other artists in different forms lived or performed in East St. Louis: Katherine Dunham, Josephine Baker, Eugene Redmond, Ike and Tina Turner, and, of course, Miles Davis, one of the major contributors to the art of jazz. Davis' career, like the city he grew up in, was also long and complex, spanning many years and shifts in musical styles. The impact his works left on the art of modern American music was vast, and though "the great jazz trumpeteer played music that had very little to do with rock 'n' roll" for most of his career, his induction into the Rock and Roll Hall of Fame in 2006 comes to little surprise to those who have studied his career closely (Inskeep). The citizens of East St. Louis, the city that Miles Davis spent a significant portion of his life in, often receive negative bias in the mass media and often face unfair prejudice from outsiders. By putting an emphasis on the good that emerged from the city, such as the talent of artists like Davis and the many other musicians, one helps to combat such attitudes and behaviors, gradually breaking down the unfair stereotype. 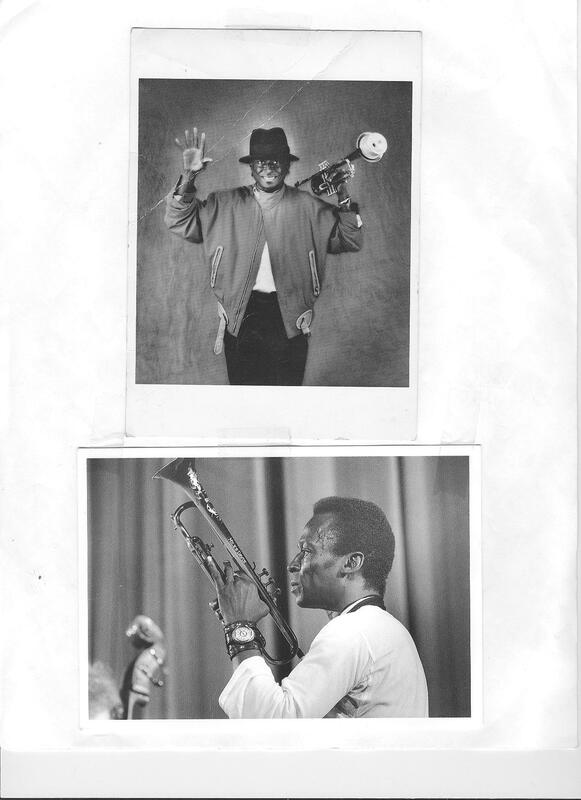 The history of East St. Louis is a tale that is not often told, let alone the music history of East St. Louis, and Miles Davis played a major part in it. Although there was admittedly many negative aspects to his personal life, his career could possibly be used as a positive story used to challenge preconceived negative notions about the city and to offer hope to its inhabitants due to the fame he acquired and the creativity and innovation he possessed. Miles Davis' career could be interpretive as a point of optimism for East St. Louis residents due to the sheer fame that he acquired during his many years performing both in and out of the city. Many remember Davis today as one of the major performers who helped to characterize jazz, as well as one who continuously experimented and tested the boundaries of the genre of music, such as with his experimentation with jazz-rock. His influence on the art of jazz is immeasurable, and "Miles [changed the course of jazz] four times" in his career" through his various changing styles over the decades, such as "hard bop" and "cool style" (Owsley). He and the various groups he created over the years earned great attention and respect in the music business, producing famous albums such as The Birth of the Cool, Walkin', and In a Silent Way. After his death in 1991, Davis was hardly forgotten: many newspapers ran his obituary on the front page. One newspaper from the times reported that "Miles Davis, a revolutionary trumpeter and jazz visionary who changed the course of the music several times over, died Saturday of pneumonia and a stroke in Santa Monica, Calif." and then proceeded to run a lengthy section detailing the history of his career, as if the man's work overshadowed the man himself ( Chicago Tribune). Several years later in 2006, he was inducted into the Rock and Roll Hall of Fame despite the fact that he himself was a jazz musician and, though he occasionally experimented with popular music in a jazz way, his career did not center in rock and roll. Despite the fact that he was a jazzman, Davis' "work intrigued a sizable segment of rock's more ambitious fans in a way that no other serious jazz figure had ever done - and not retroactively but while he was alive and making some of his most challenging music" (Rock and Roll Hall of Fame). Davis' fame could possibly be considered an idea that offers hope to East St. Louis residents, because his career stands as an example that, much like others before him such as Josephine Baker, a resident of East St Louis can not only create works of art but can also become famous for it. This idea offers the idea that one can, through their natural talents, earn accolade and fortune. Hope is a very powerful mechanism that keeps many people afloat, and it is very important to cultivate that in a downtrodden environment, such as East St. Louis, in order to stay both sane and to keep the spark of change alive. Furthermore, the tale of Miles Davis is also the tale of the various artists of he put together for his many different groups. His fame helps popularize these other musicians as well, and highlights the fact that East St Louis was once a major center for the jazz and the arts that produced many talented musicians, dancers, poets and so on. By assisting to popularize them, Davis also allows their story to be told and so helps to spread culture and history through East St. Louis. This transmission aids in developing a community identity, which in turn becomes a factor in the solidification of the community. In addition, East St. Louis unfortunately has a negative reputation for crime and vice, and by spreading information regarding the arts group that originated in the city, it serves to dispel that reputation little by little. Miles Davis' career could also offer hope and change perceptions of East St. Louis in some way due to the innovation and creativity he expressed in his music. His particular methods of playing fused the styles of other artists and added his own twist. One method was described by author Brian Priestly as "an almost vocal, laid-back sound far removed from Dizzy Gillespie, and deriving rather from Lester Young and Bix Beiderbecke" (Priestly 108). One could draw parallels between the combinations of musical methods present in his style and the fusion genre of jazz that he popularized later on in his career. In both, he took something preexisting, twisted and shaped the music bit by bit, and effectively created something entirely new. As well, Davis "is credited with popularizing the sound of the Harmon mute with the stem removed," though some evidence suggests that this particular technique was in use before Miles popularized it in his recordings (Owsley 87). Nevertheless, he used the particular musical device in much of his work, stating in an interview that he liked it because "it sounds human…sounds like a voice" (60 Minutes). Miles Davis is credited with causing four major shifts in the style of jazz, no mean feat by any means, and his art constantly evolved. He enjoyed raising the question in those who listened to him of "What's he going to do next?" 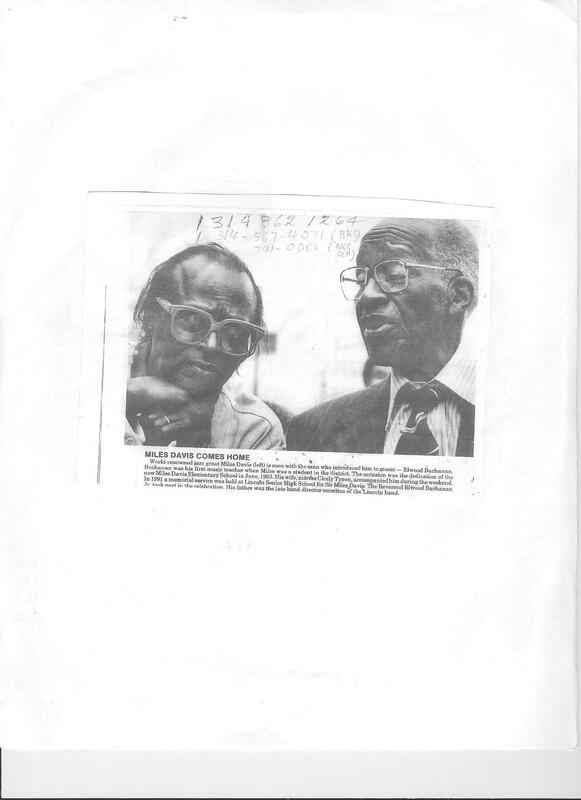 (Miles Davis interview), and that question was surely raised many times in his career. The last of these major changes, due to being a large departure from traditional jazz, was particularly controversial at the time and received a mix reception, though it "took jazz to a whole new level of popularity" (Miles Davis Official Site). Davis covered versions of popular songs by current artists, and "enamored of the rock styles of Jimi Hendrix and Sly Stone," Davis incorporated elements of rock into his jazz performances for some time to come. However, some of his former fans felt that he had "sold out" by performing these new songs. Music critics pondered whether "Davis [was] pandering to commercial trends, or was he merely updating jazz's long-standing tradition of refashioning popular songs as vehicles for improvisation" (Veal). Nevertheless, the style of jazz became very popular due to the efforts of Miles Davis, and he experimented with various new styles up until his death caused by pneumonia and a stroke in 1991. Davis' creativity in the realm of music maybe interpreted as something that can be used as a sign of hope in East St. Louis. One of the problems that East St. Louis faces is that with the closing of many major community centers, the youth of the city have nowhere to go. With the proper funding, a center that taught the art of jazz in the various styles that Miles Davis created over the years could possibly be opened and it would be a tremendous asset to the community. The arts have had a strong influence on East St. Louis in the past, inspiring many inhabitants of the city who would then go on to do what some consider to be great feats. For instance, the famous Olympian, Jackie Joyner-Kersee, attended a community center as a young child in which dance was taught, taking it because she was "clumsy and could use some grace" (Joyner-Kersee 40). She became interested in athletics as an offshoot of dance, and earned six Olympic medals during her career as an athlete. As well, the center opened up by Katherine Dunham became very popular and kept many youths safe and off the dangerous streets. However, the largest hurdle in the establishment and management of a new community center which would teach music is the issue of money. East St Louis has little funding, and though the education of the young people is an issue of utmost importance, the money that would support the center simply does not exist. Thus, the possible benefits of this center must sadly remain hypothetical. In conclusion, Miles Davis made tremendous contributions to the art of jazz, and through it, he also benefited in some ways the community he grew up in. His career spanned many decades and changes in musical styles, cut short with his death in 1991. His impact on jazz was profound, and he is considered by some to be the greatest artist to come out of East St Louis, though, of course, there are many other very excellent artists that call or called the city their home. The mere mention of the city strikes fear in the hearts of some individuals, who avoid venturing into the community and cast suspicious eyes on all the inhabitants. Some newspapers also seem to be biased against the small community that borders Saint Louis, and write little else of it in their columns except for sensationalist stories of violent crime. By focusing on positive stories, such as the creative work of Miles Davis, the Black Artists Group, Katherine Dunham, and the many talented musicians that call the city their home, one helps to combat the unfair negative presentation that East St. Louis has in the mass media by using positive examples of the artwork from the city. As well, this focus would also help to popularize artists who have not previously had the exposure they deserve. Art comes in many forms and benefits the community in different ways, and in order for art to do the latter, it needs its just due. Redmond, Eugene. "So What(? )…It's 'All Blues' Anyway: An Anecdotal/Jazzological Tour of Milesville." Miles Davis and American Culture. Ed. Gerald Early. MO Historical Society Press, 2001. Inskeep, Steve and Ashley Kahn. "Miles, Beyond Jazz: Rock Hall Honors Davis." NPR. 2006. NPR. 21 April 2009 <http://www.npr.org/templates/story/story.php?storyId=5258932>. Owsley, Dennis. City of Gabriels: The History of Jazz in St. Louis, 1895-1973. St Louis: Reedy Press, 2006. Miles Davis interview on 60 CBS News 60 Minutes, Part 1, 1990. 28 December 2007. Youtube. Video. 06 May 2009. <http://www.youtube.com/watch?v=DduWg2L-l5I>. Miles Davis interview, 1982. 14 November 2006. Youtube. Video. 06 May 2009. <http://www.youtube.com/watch?v=IHeYG9SNaS0>. "Jazz trumpet legend Miles Davis dies." Chicago Tribune 29 September 1991: 18. "Miles Davis." Rock Hall. 2006. Rock and Roll Hall of Fame. 21 April 2009 <http://www.rockhall.com/inductee/miles-davis>. Priestly, Brian. Jazz on Record: A History. New York: Billboard Books, 1991. "The Biography of Miles Davis." Miles Davis. 2009. Miles Davis Properties. 21 April 2009 <http://www.milesdavis.com/bio.asp>. Veal, Michael. "Miles Davis's Unfinished Electric Revolution." Raritan 22(2002): 153 - 164. Academic Search Premiere. EBSCOhost. Holman Library, IL. 21 April 2009 <.http://search.ebscohost.com/login.aspx?direct=true&db=aph&AN=7344553&site=ehos t-live>. Joyner-Kersee, Jackie. A Kind of Grace: The Autobiography of the World's Greatest Female Athlete. New York" Warner Books, 1997.